Root, in response, was heard by the Sky Sports microphones saying: "Don't use it as an insult. There's nothing wrong with being gay." England's first ODI is in Bridgetown on Wednesday - and you can watch every match in the series live on Sky Sports Cricket. The 30-year-old was previously suspended for the second Test against Bangladesh in November, after deliberately bumping into batsman Imrul Kayes. He was also fined in April 2017 for his on-field behaviour against Pakistan. 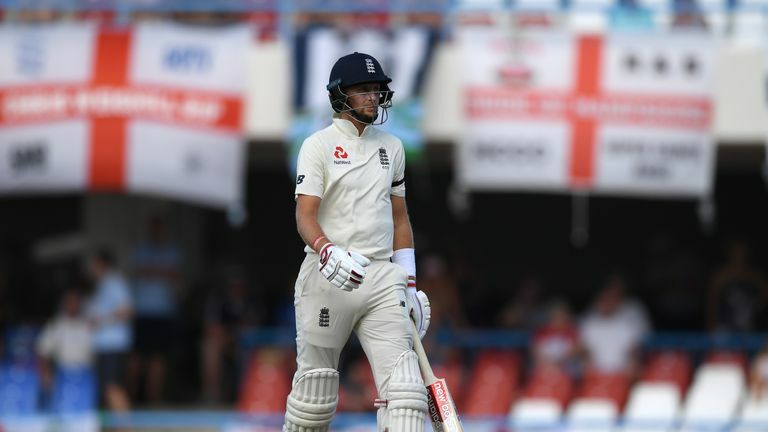 Root, who has received widespread praise for his role in the incident, said on Tuesday evening: "The ICC have got to handle things - I am not in a position to comment."